.Our Library furniture are highly acclaimed by our clients due to the space availability, multiple shelves were designed technically so that it can accommodate maximum number of books easily. 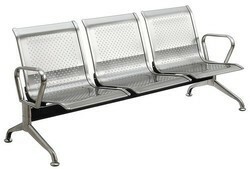 Similarly the stands are designed with different specifications to occupy lesser space. 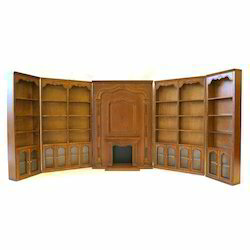 We are one of the leading manufacturers and suppliers of Library Bookshelf. Our bookshelves can be wall mounted or placed on the floor, as space permits. These can also be mobile. 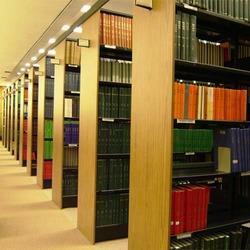 We cater to the needs of bookshelves at Homes, Offices and various Institutions. 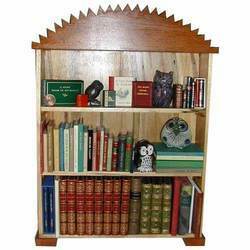 Our book shelves are known for their innovative designs, durable nature and superior finishing. The bookshelves offered by us are chemically treated for anti-termites and anti-borers which ensure that the shelves are last long and safe for books. We custom manufacture these as per client’s preference of size, number of racks / cabinets, choice of wood / board, finish etc. 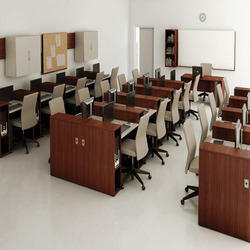 We manufacture a wide range of Library Furniture Sets under the group of Library furniture. These sets are made of premium quality CRCA sheet to provide glossy finish and strength. Also, it is designed with attention and is tested on various testing parameters like pretreated for anti-rust treatment to ensure that its completely faultless. 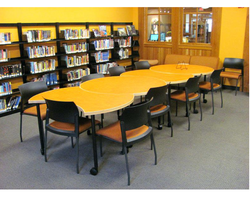 Our clients can avail a wide range of Library Table And Chair Sets and various stands which are manufactured and designed from high quality raw material like wood and metal. Looking for Library Furniture ?